Background/Purpose: To perform a systematic review of the definitions of generalized osteoarthritis (GOA). An initial systematic review of the literature for GOA was published in 2014 (PMID 24461078); this review is an update to the definitions analyzed in the original work. Methods: We performed a systematic review in Medline using the terms osteoarthritis, generalized, polyarticular, multiple joint, multi-joint, and others to obtain articles related to GOA, following PRISMA guidelines. The search was performed 4/18/17 by a professional librarian. The initial searches produced 216 articles for title and abstract review (performed by AEN and TRG), after which 75 underwent full text review (AEN and TRG). Of these, 39, along with 3 identified through bibliographic review, were included for data extraction (TRG) based on pre-specified criteria including the requirement for a clearly stated definition of OA (clinical, radiographic, or symptomatic) assessed at more than one body site. Results: In the 42 included articles, 29 large cohorts (n~56,000) were represented along with 7 clinical series (n~28,000), 1 systematic review (n=79 studies) and 2 meta-analyses (n~980,000) across 14 countries and 5 years (2012-2017). The sites assessed, and OA definitions at each site, varied but most often included the hands, knees and hips. Five of the 42 studies explicitly stated a definition for GOA, and 1 gave an implicit definition. No two of these definitions were the same, however all required a minimal number of joints affected without regard to body region (Table). No definitions contained a supporting rationale. Estimates of the prevalence of GOA in these studies ranged from 7-13%. Although the remaining 36 articles did not provide a definition for GOA, 11 studies did collect data for OA disease characteristics in multiple joints within the individual. For instance, one study tallied the number of painful joint regions to assess the extent of disabling OA at the person level (as opposed to the regional level). Another study listed Clinical OA- number of sites as a categorical variable. Finally, in at least 7 articles the authors used alternate terms to denote multiple joint involvement—among these polyarticular OA and multijoint OA. Conclusion: As in 2014, when the initial systematic review was conducted, GOA remains a commonly used term in the literature despite its lack of a clear or widely agreed upon definition. Most studies that discuss GOA do not define it, and for those that do, still no consensus has been reached. Alternate terms have been used, such as multijoint OA, to describe symptoms and/or radiographic features manifested in more than 1 joint in the individual. However, the use of these terms has yet to improve precision in the definition of GOA. It remains appropriate for individual studies to clearly define any terms used to designate OA of multiple joints or joint groups. Disclosure: T. R. Gullo, None; A. Nelson, None. Gullo TR, Nelson A. “Generalized Osteoarthritis”: Update to a Systematic Review [abstract]. Arthritis Rheumatol. 2017; 69 (suppl 10). 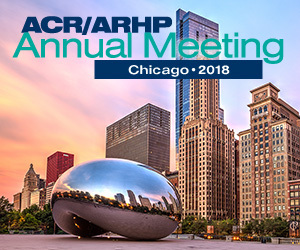 https://acrabstracts.org/abstract/generalized-osteoarthritis-update-to-a-systematic-review/. Accessed April 20, 2019.